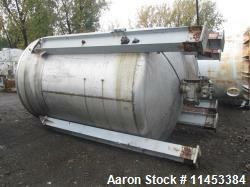 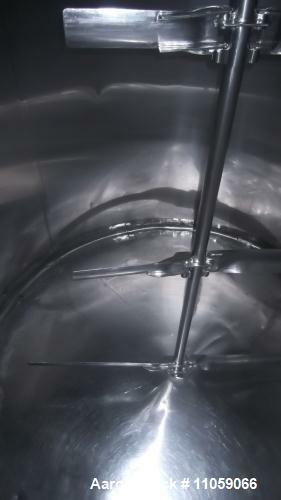 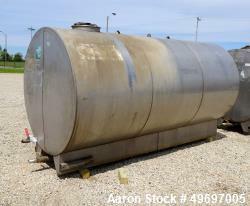 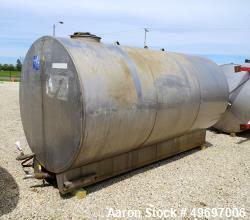 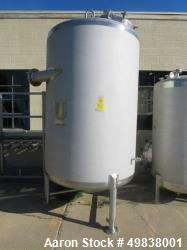 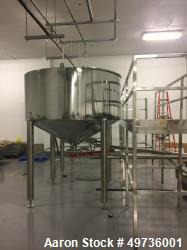 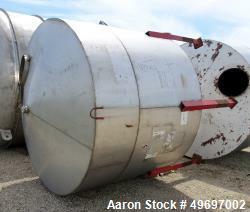 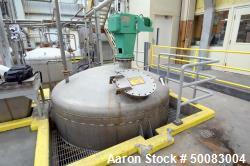 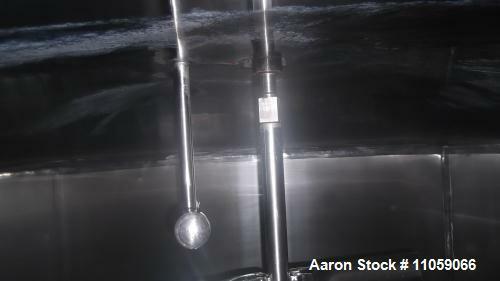 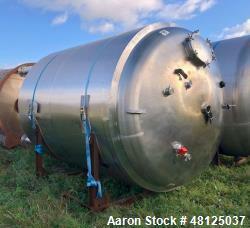 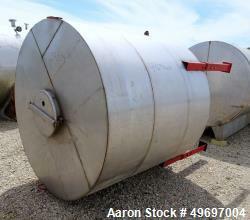 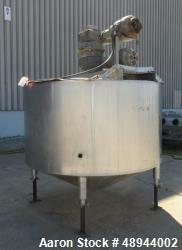 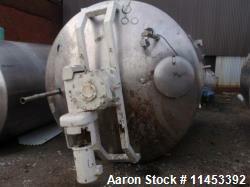 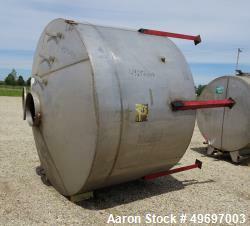 Used- 4000 Gallon Stainless Steel Mix Tank. 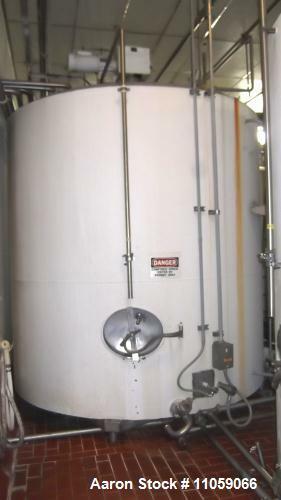 9' inside diameter. 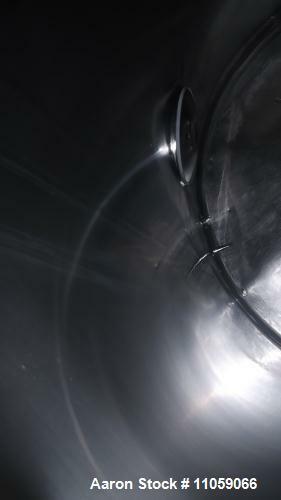 x 9'3" straight side. 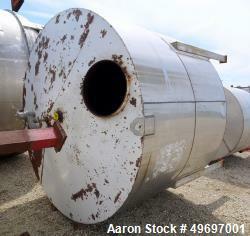 Stainless Steel Contacts with insulation. 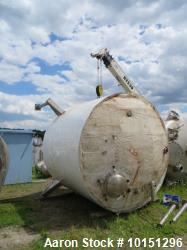 Over all height with agitator attached 13'6" Dome top, inverted cone bottom. 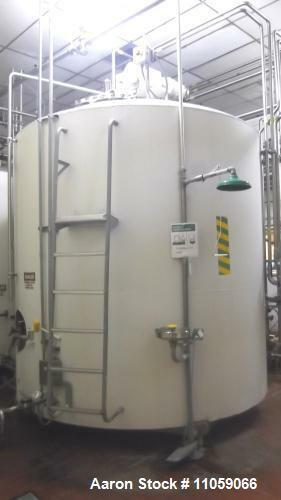 Last used in Food Plant.